Name Mayo Clinic a beneficiary of the policy. This gift is as simple as updating your beneficiary designation form with the policy holder. You can designate Mayo Clinic as the primary beneficiary for a percentage or specific amount. You can also make us the contingent beneficiary so that we will receive the balance of your policy only if your primary beneficiary doesn't survive you. Make an outright gift of an existing policy. You can name Mayo Clinic as owner and beneficiary of an existing policy. You qualify for a federal income tax charitable deduction when you itemize on your taxes. If you continue to pay premiums on the policy, each payment is tax deductible as a charitable gift when you itemize. Make an outright gift of a new policy. You can take out a new policy and irrevocably name Mayo Clinic as the owner and the beneficiary of the insurance contract. This method may be particularly attractive for the younger donor. Whether you make one single premium payment for the policy or pay annual premiums, each payment is tax deductible as a charitable gift when you itemize. Have you made a qualifying gift to Mayo Clinic? Let us know here. 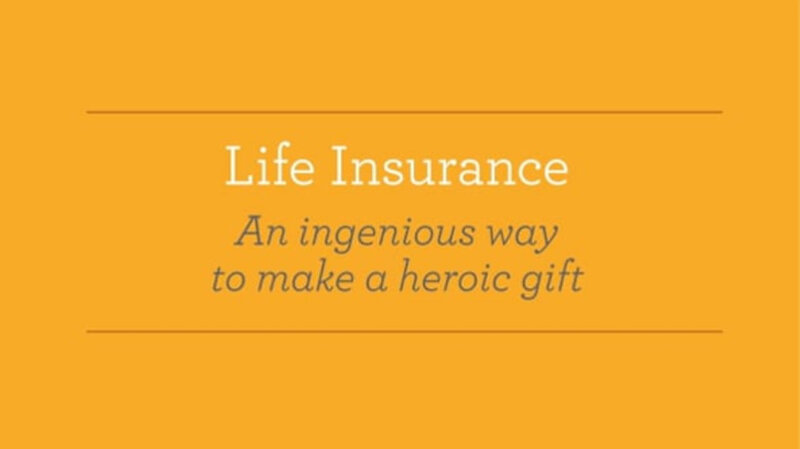 Contact Mayo Clinic Office of Gift Planning at giftplanning@mayo.edu or 1-800-297-1185 for additional information on life insurance.